Agency Power;s closed end lugs nuts are designed for those seeking to add the finishing touches to their UTV. The thin walled lug nut is smaller which allows it to fit wheels with a smaller diameter lug hole . As well as being lighter then most OEM wheel lug nuts, they are designed without sacrificing durability thanks to the hardened steel material. Each lug nut kit includes a proprietary 19mm socket adapter providing you security to your UTVs wheels much like a wheel lock does. 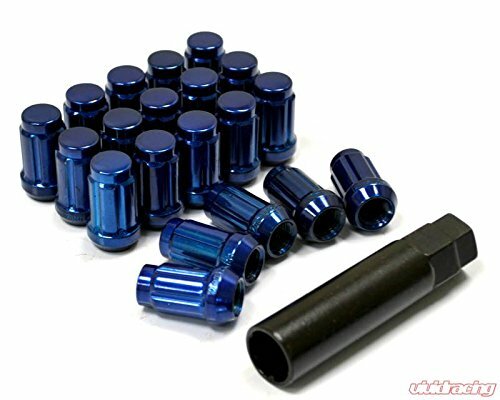 (20) 12mm x 1.50 Lug nuts and proprietary 19mm wrench adapter. Agency Power has 3 separate color options for the lug nuts available. If you have any questions about this product by Agency Power, contact us by completing and submitting the form below. If you are looking for a specif part number, please include it with your message.